I once started a book by Ch. Rice, but didn’t even finish the sample. It just didn’t grab me. Just like you I was expecting more from a ‘name’ author. 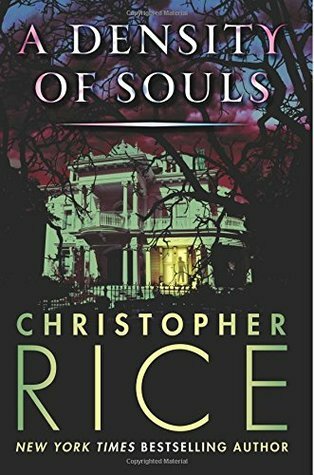 Mr. Rice once made a joke on his FB that he’s published cause he’s Anne Rice’s son. I think there’s a lot of truth in it. The same with Joe Hill. He claims that his publisher never knew he was S. King’s son, but his debut novel “The Heart-shaped box” was so bad, I highly doubt that the publisher was indeed unaware. But I loved Joe Hill’s “Horns.” And hated “Nos4a2,” his third novel. Long, tedious, and senseless. I know. I couldn’t read Joe Hill’s work. Just didn’t do it for me. I know it must be really hard to be the child of a famous person – but I wonder if it wouldn’t be better sometimes to do something completely different? My egg donor was a famous horse person. I, on the other hand, was terrible at it…. I would have been sooo much better off if she had let me be an artist like I wanted! Oh, I love painting! I have painted since I remember myself. Do you paint now? At least just for pleasure. I haven’t like anything he has written and am not planning to try again. Like Alafair Burke. Love her dad’s writing, but she’s … well … she’s not her dad, which is okay. She’s not even herself and that is NOT okay. Christopher has a similar problem. I am a rabid James Lee Burke reader!!! 😉 Love love love his work. Sad to say, I haven’t even tried Alafair.